What Causes Stargardt's Disease?How Fast Does Stargardt's Progress?Can Stargardt's Disease Be Prevented Or Treated? where fine focusing occurs. Central vision loss also occurs, while peripheral vision usually is retained.
) sloughed off from the colored or outer covering of the retina (retinal pigment epithelium). Progressive vision loss eventually leads to blindness in most cases. Stargardt's is an inherited disease passed along to children when both parents carry mutations of a gene associated with vitamin A processing in the eye. Parents can carry recessive genetic traits responsible for Stargardt's, even though they themselves may not have the disease. Researchers have found that about 5 percent of people carry gene mutations that cause inherited retinal diseases such as Stargardt's disease and retinitis pigmentosa. However, the inheritance pattern of Stargardt's is variable, and it's possible for up to half of the children of a single affected parent to develop the condition. Also, you can't predict how much vision a child may lose to Stargardt's disease based on the affected parent's vision loss. How Fast Does Stargardt's Progress? Vision loss from Stargardt's generally begins to show up within the first 20 years of a young person's life, particularly in early childhood. But it's difficult to pinpoint exactly when retinal damage will occur or how fast it will progress, because variations can occur even among family members with similar inherited tendencies. In some cases, signs of Stargardt's disease appear in early childhood; but a person with Stargardt's (particularly the fundus flavimaculatus version of the disease) may reach middle age before vision problems are noticed. Stargardt's disease causes vision loss in the range of 20/50 to 20/200 on a standard eye chart. (In the United States, legal blindness is defined as visual acuity of 20/200 or worse while wearing corrective lenses.) 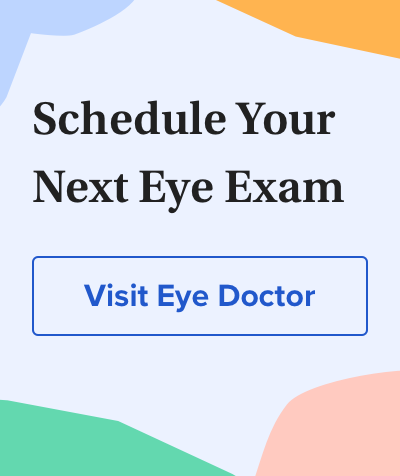 Those who have the fundus flavimaculatus form of the disease, however, are likely to experience even more severe vision loss. Symptoms of Stargardt's disease can include blurry or distorted vision, inability to see in low lighting and difficulty recognizing familiar faces. In late stages of Stargardt's, color vision also may be lost. Can Stargardt's Disease Be Prevented Or Treated? If you have Stargardt's, your eye doctor also may suggest that you wear eyeglasses with specially tinted lenses to block certain wavelengths of light. in the retina that are damaged by eye diseases like Stargardt's. Results from Phase I and Phase II clinical trials were encouraging, with significant vision improvements reported for some patients. Other research suggests aggregation or "clumping" of vitamin A in the retina may be associated both with Stargardt's disease and age-related macular degeneration (AMD). These clumpy deposits are known as "vitamin A dimers." Several pharmaceutical companies are developing drugs that target the problems associated with vitamin A dimers. For example, Alkeus Pharmaceuticals' ALK-001 is a modified form of vitamin A, which, when metabolized in the retina, results in much less waste. It is currently in Phase II clinical trials. Acucela is another company with a drug candidate for Stargardt's disease in Phase II clinical trials. The company's drug — called VCM2 Emixustat HCl — works by slowing the buildup of toxic waste products that lead to retinal degeneration. Sanofi is working on a gene therapy trial for Stargardt disease. The treatment replaces mutated copies of the gene ABCA4 with healthy copies. Opsis Therapeutics is a company that is developing technology to replace degenerated cells in the retina to restore vision in people with Stargardt's disease. The company is fabricating retinal cell grafts from stem cells and biocompatible materials for delivery of the cell grafts to the retina via standard surgical techniques. However, it's unknown at this time if this treatment will gain FDA approval for use in the U.S. for the treatment of Stargardt's disease. The American Macular Degeneration Foundation recommends that people with Stargardt's or a history of the eye disease in close family members obtain genetic counseling before starting their own families. Phenotypic variation in a family with pseudodominant Stargardt disease. <em>JAMA Ophthalmology</em>. March 2016 [e-pub ahead of print].<br> Makindus receives orphan designation for MI-100 for Stargardt's disease. June 2014. www.makindus.com. Accessed March 2016.<br> ACT announces first Stargardt patient treated with higher dosage of embryonic stem cell-derived retinal pigment epithelial cells. Advanced Cell Technology. Press release. July 2012.<br> Columbia researchers work on preventing blindness from age-related macular degeneration and Stargardt's disease. Columbia University Medical Center. Press release. May 2011.<br> C20-D3-vitamin A slows lipofuscin accumulation and electrophysiological retinal degeneration in a mouse model of Stargardt disease. <em>The Journal of Biological Chemistry</em>. March 2011.<br> Alkeus Pharmaceuticals licenses novel compounds from Columbia University for potential treatments of ophthalmologic conditions such as dry-AMD and Stargardt disease. Alkeus Pharmaceuticals. January 2011. www.alkeuspharma.com. Accessed March 2016.<br> <em>Ophthalmology, 2nd ed</em>. 2004.